This edition continues the journey of assisting the reader to understand Canada's international tax regime. The authors strive to do so as comprehensively as possible, without overwhelming their audience with the massive scope and complexity of the topic. 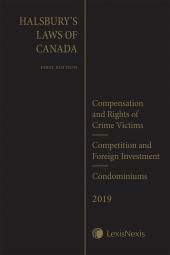 The first comprehensive book on Canadian international tax law, International Taxation in Canada – Principles and Practices was originally published in 2006. 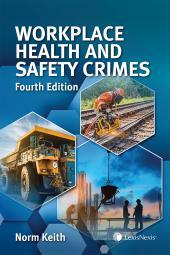 Now in its fourth edition, it has become the leading book on this topic in Canada and is the most widely-adopted book for classroom usage at Canadian law schools. A unique and resourceful tool, it provides an understanding of the underlying policy governing international tax rules as well as how foreign tax laws interact with Canadian laws. Jinyan Li, LL.B. LL.M., D.Jur., is a professor and co-director of the professional LL.M. program at Osgoode Hall Law School. Her research interests lie primarily in taxation law and policy, comparative and international taxation. 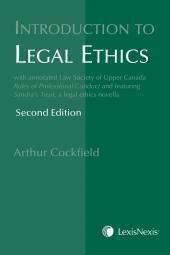 Professor Arthur Cockfield, B.A., LL.B., J.S.M., J.S.D., is a Professor of law at Queen's University Faculty of Law. He has taught courses in Canadian law (tax, international tax, contracts, cyberlaw, accounting for lawyers) and US law (federal income tax, international tax, taxation of business entities, corporations, corporate finance, cyberspace and e-commerce law). For most of these courses, he has developed a narrative-style teaching method, and through the use of ‘novellas', he takes the learner through a series of problems faced by a fictional lawyer/ protagonist. Professor Cockfield has authored, co-authored or edited twelve books, including two other teaching novellas, and over 50 academic articles, and has been awarded a number of research grants and fellowships for these works. J. Scott Wilkie, B.A., LL.B., is a Distinguished Professor of Practice at Osgoode Hall Law School and co-director of the professional L.L.M program at Osgoode Hall Law School. He is a senior partner in the Toronto office of Blake, Cassels & Graydon LLP. His practice is primarily focused on international taxation and tax policy, including international corporate tax planning, transfer pricing and tax treaty advice.